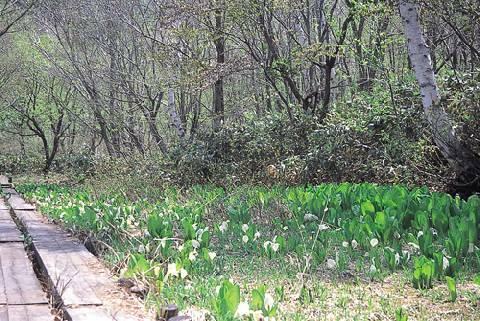 The 1260 square meter area is full of Asian skunk cabbage. The 1260 square meter area is full of Asian skunk cabbage. Blooming begins around the end of April. Get on Naeba Prince Hotel Line buses from Echigo Yuzawa Station. "Gallery of Pictures for Children ' Warabe no Uta'"